When Pop City last reported on The Pittsburgh History and Landmarks Foundation‘s Wilkinsburg redevelopment projects in 2008, four homes in the Hamnett Place neighborhood had successfully been restored. The PHLF recently announced that three more historic Hamnett Place houses, as well as the two-building, 27-unit Crescent Apartment development, are scheduled for completion by fall of 2011. “It really is one big project because all of these things are kind of interlinked. We also launched a housing resource center in the same area last year and we’ve done a lot of cleaning and vacant lot work around the area. There are a lot of initiatives happening right now in Wilkinsburg that total over $10 million,” says Michael Sriprasert, director of real estate for the PHLF. 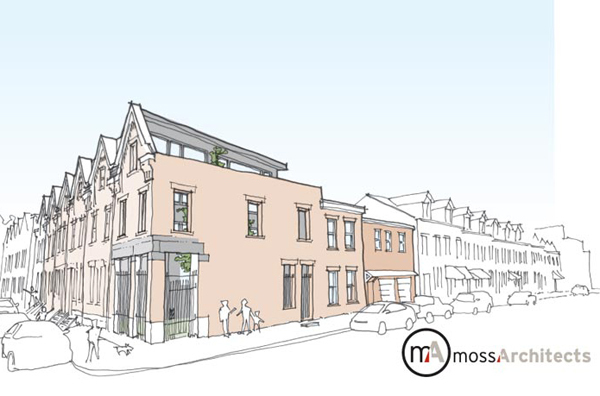 “Right now the three properties at 833 and 845 Holland Avenue and 517 Jeanette Street have undergone interior demolition and we have begun construction,” says David Farkas, director of main street programs for the PHLF, in regard to the second phase of the Hamnett Place project that began in December. 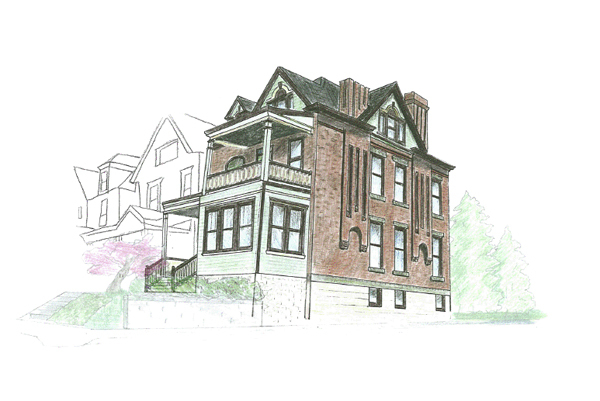 The PHLF received assistance from Allegheny County Economic Development and The Allegheny Foundation for the restoration of these homes, which will have buyer incomes restricted to 120% of the area median income. The PHLF is 30% finished with the redevelopment of two buildings in the $8.6 million, 27-unit affordable Crescent Apartments, which was funded by The Pennsylvania Housing Finance Agency, Allegheny County’s Office of Behavioral Health, and private sources. The PHLF worked with architects Landmarks Design Associates on both the Hamnett Place and Crescent Apartments projects, and with Mistick Construction and Sota Construction on the Hamnett Place and Crescent Apartments, respectively.